When I was invited to the opening of Ipanema's 4th store at SM North EDSA Annex, each guest was given a chance to try out its newest collection. With so many styles and designs to choose from, there's definitely a pair of flip-flops for everyone. I love sandals! 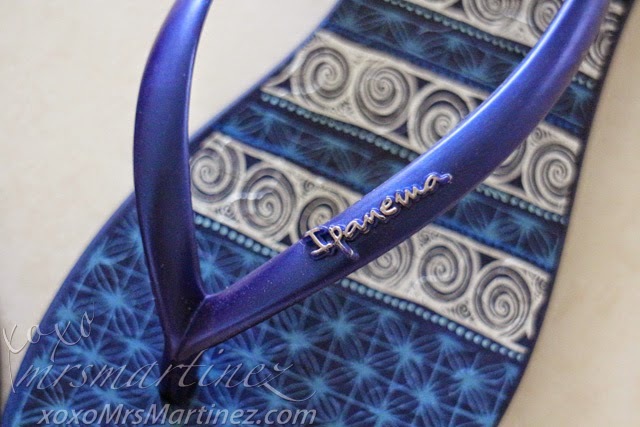 Ipanema offers a wide range of styles in different colors. 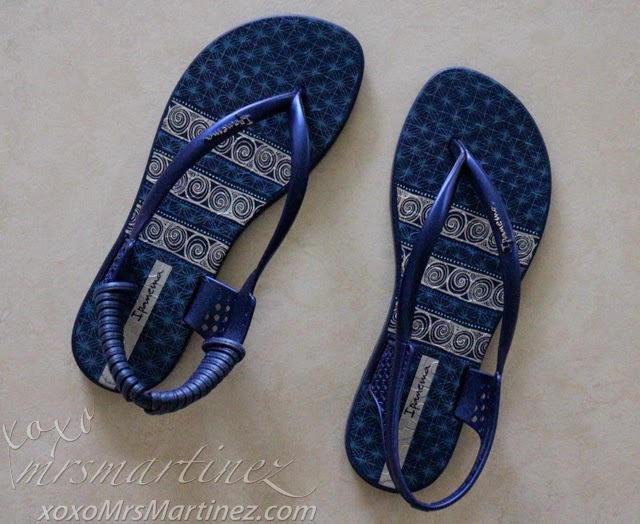 Compared with other brands, you can feel the difference once you slipped into your flip-flops. Its signature buttery soft sole is what I like the most about this brand. 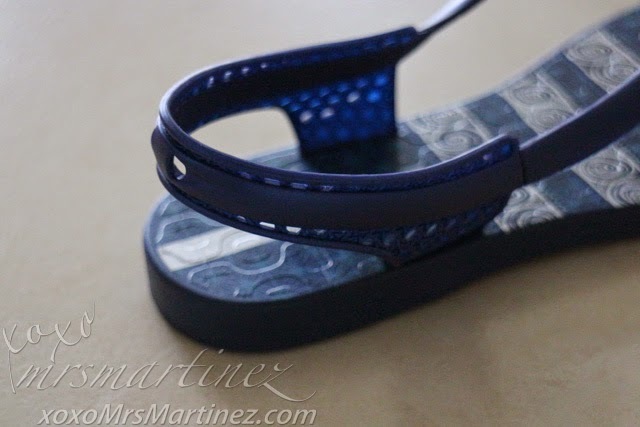 I can wear this Ipanema Ethnic Sandal Fem in 3 ways! See how the straps were coiled in the photo below? Initially, I thought it was part of its "ethnic" design. When I took home this pair with me, I didn't know that it can be actually removed. I discovered it by accident when the straps suddenly uncoiled. At first, I panicked but then I realized that its supposed to uncoil because these straps can be used to tie around your ankles or tie them up gladiator style (see photos below). If you are a boring girl like me, you can remove and do away with the straps altogether. 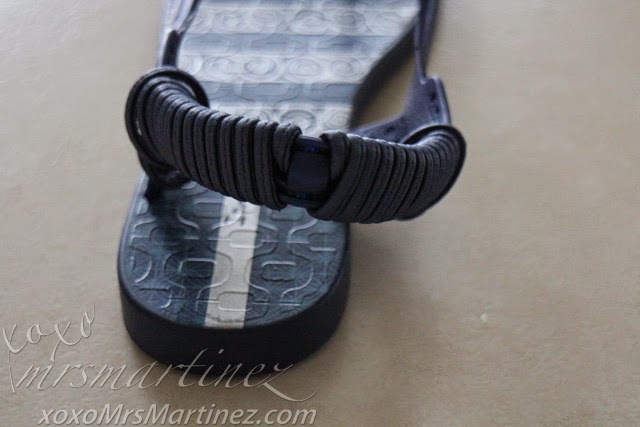 You can either leave the straps coiled or you can just tie the straps around your anklet. For another variation, you can wear it Gladiator style! I prefer the last variation simply because I am boring don't like tying straps lol I like to wear my flip-flops by just slipping it on. Ipanema Ethnic Sandal Fem is another good find because you can create 3 different look with just one pair. Ipanema flip-flops and slippers are available at Ipanema Stores in SM City Lucena, SM Clark in Pampanga, Centrio Mall in Cagayan de Oro, Bambu Shoe Salon, and leading department stores like SM Department Store, Robinsons Department Store, Rustan's Makati and Landmark.